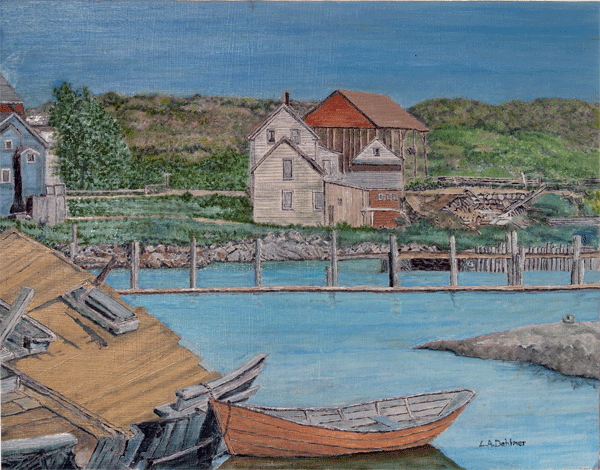 Recollections of my life on the island and the heritage of the fishing industry from the days of Champlain, through my art. Dedicated to the growing family tree of Dahlmers, and motivated with the idea of capturing the essence of what fishing out of Gloucester has meant for the last 400 years. Grandfather, John Dahlmer, brought the newly-launched Margaret D. to Gloucester from Charlevoix, Michigan in 1910. He, brother Lawrence and son Ronald sailed her along the same route that had brought many new families from the Lakes to Gloucester the previous year. In the coming years I will show a reflection of what has passed in just a couple of generations. paper, from Fine Art America, 30 day money-back guaranty, fast delivery. call 978-559-6418 and I'll be sure to be there.